Professional Women International is a Brussels based membership association, which is also part of the PWN Global network. We help professional women grow and succeed and thereby aim to accelerate more gender balanced leadership. The values that guide us are those of respect, courage, collaboration, excellence, and inclusiveness. We are a non-profit association and want to provide you with the tools and attitudes to be leaders, offer you a safe space to learn as well as perform, provide you with opportunities to contribute and create, and support female empowerment in general. To achieve these goals, we organise events such as social networking drinks or educational seminars and workshops and run dedicated programmes that allow you to make new contacts, meet inspiring women and learn from one another. See our Membership page for more details of member benefits. Come and join our association - we look forward to seeing you soon! rofessional Women International (PWI) is a Brussels-based, multi-national networking forum for women in business. Founded in 1991, PWI is a non-profit, dynamic organisation dedicated to fostering professional and cultural contacts for business women with different national, cultural and professional backgrounds. Its purpose is to enhance the individual and collective value, image, competence and influence of members. The organisation provides an environment for personal and professional development in which members interact, exchange knowledge, share experiences and discuss business opportunities. PWI values cultural diversity and co-operation as a way to create understanding between women of different backgrounds. It promotes partnerships with other women’s networks, in Belgium and throughout Europe. 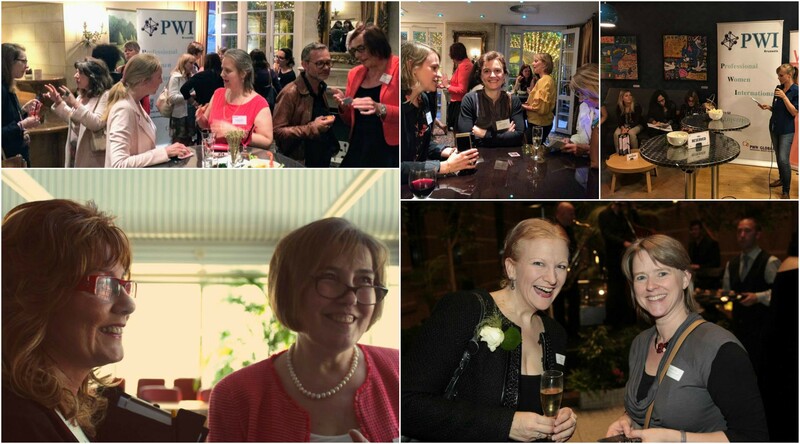 PWI organises regular events: from networking dinners with speakers who offer insight into life and business, to hands-on workshops, networking drinks and cultural visits. From the beginning, members have found the network to be a vital part of their business' success. You are welcome to join this group of open-minded women and to experience what networking can do for you and your business. As a member, you receive our PWI Magazine and have the opportunity to take part in events organised for members only. Are you looking to give back to the community? Go to our members-only page!